Seeking a vintage or antique star wheel etching / intaglio press in working order, preferably with a bed size no less than 10” wide. 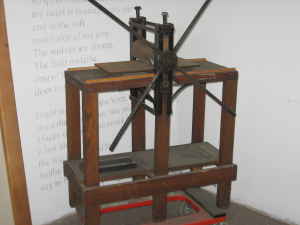 Kelton or Howard type machine. Tabletop or floor model.